Star Wars Day at Sea will be offered on Disney Fantasy cruises from Port Canaveral, Florida, departing January 5, January 19, February 2, February 16 and March 2, 2019. The Western Caribbean itinerary includes Cozumel, Mexico; George Town, Grand Cayman; Falmouth, Jamaica, and Disney’s private island in the Bahamas, Castaway Cay. 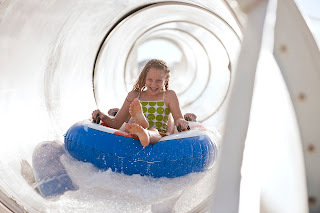 Departing January 12, January 26, February 9 and February 23, 2019, the Eastern Caribbean itinerary includes Tortola, St. Thomas, and Castaway Cay. What can you expect? Lots and lots of action-packed fun! •A spectacular deck party, featuring dancing, fireworks and the largest collection of Marvel Super Heroes or Star War characters, depending on sail date, ever assembled on a cruise ship. •Photo ops with some of your favorite heroes and villains. • Special movie screenings inside the Walt Disney Theatre. •A fan-filled costume celebration in the ship’s Atrium. 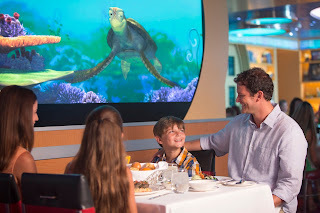 •Extraordinary games and activities at Disney’s Oceaneer Club and throughout the ship. •Surprise appearances throughout the ship. •Amazing themed food and beverages. There’s a reason Disney is bringing back these special days! Everyone on board has so much fun! These sailings fill up VERY QUICKLY, so be sure to book early so your family is not left out!